Carolina Collision & Frame Service provides complete wrecker and towing service for Rock Hill, SC and the surrounding area. We’re here 24 hours a day to provide not only a tow but also the professional, dependable service you’re looking for during difficult circumstances. Why Choose Our Wrecker & Towing Service? Car Broken Down? We Can Help! No matter why you need a wrecker, we’re here to help. 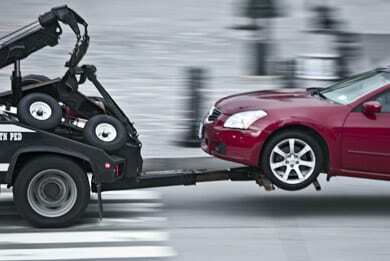 We provides towing services any day, for any reason and any type of vehicle. Our fleet consists of various types of wreckers, including car carriers, flatbeds, and wheel lifts with a dolly to tow any type of vehicle. We offer competitive rates and a quick response to your emergency. Accidents: Collisions are one of the top reasons we’re called to tow a vehicle. Whether your car’s suffered a simple bump-up or is a total loss, we’re capable of moving your vehicle from the road to our full-service auto body repair shop. We know that when you’re in an accident, the most important thing is to get your car moved, fixed, and back on the road in no time. This is why we’re fast, professional, and–most importantly–dependable. Fully Licensed & Insured: Carolina Collision & Frame Service is fully licensed and insured. You never need to worry about our reputation, our drivers, or our experience. We’ve proudly been in the towing and wrecker business in Rock Hill, SC since 1998. Our customers know that we offer fast, dependable service at competitive rates. We’ll get you back on the road regardless of your emergency. We offer dependable towing and wrecker service 24 hours a day.